A new study by the Local Road Research Board (LRRB) shows that transportation investments within a county can increase the local employment rate, while investments in trunk highways surrounding a county can also enhance county and regional employment. The goal of this project was to quantify the relationship between transportation investment and economic development as it is represented in data showing the effect of the investment on job creation in counties. said Bruce Hasbargen, County Engineer, Beltrami County. As federal resources for transportation development have declined, state departments of transportation and local organizations have needed to be selective in funding transportation projects, choosing those that generate the greatest local return on investment. Transportation engineers and planners understand the positive effects new roadway projects have on local and regional economies. But to demonstrate these effects to elected officials who develop the budgets—as well as to the tax-paying public— they have needed supporting quantitative data. Previous LRRB research has produced data linking transportation investments to increases in local property values in Minnesota counties. More analysis and information were required about the possible links between local transportation investment and other economic indicators, such as job creation. After an initial literature search, researchers followed the methodology of the earlier study by gathering and examining data from several sources. The Minnesota County Finances Report yielded investment information. Since 1985, this report has collected information about grants and expenditures for county-managed local roads. MnDOT’s Trunk Highway Construction and Maintenance Costs provided data related to these expenditures collected from 1995 to 2012. To determine transportation investment effects on job creation and employment, researchers used several comprehensive data sources to measure employment across the state and in counties: the Quarterly Census of Employment and Wages (which reports overall employment); County Business Patterns (which reports private employment only, based on business register data); and data from the Minnesota Department of employment and Economic Development. Researchers combined data on transportation investment, business patterns and socioeconomic conditions in Minnesota counties from 1995 to 2010. The data included the number of county business establishments, jobs in Minnesota counties by sectors and the amount of the annual payroll. Investigators also examined spatial (GIS-map based) data from counties. • How does transportation investment affect the employment rate, aggregate employment (number of jobs) and annual payrolls in Minnesota counties? • Which type of transportation investment—trunk highways or local roads—is more effective in job creation? • Does the link between transportation investment and job creation differ between metropolitan and rural counties? The model’s design controlled for unrelated factors that would affect employment rates, including population, age structure, population density, educational attainment and level of urbanization. The literature search showed evidence of connections between transportation projects and local economic development across many decades and countries, although the results were varied and not predictive. • A 1 percent increase in local road capital within a county is associated with a 0.007 percent increase in the employment rate in the county, holding constant various socioeconomic factors. • A 1 percent increase in trunk highway capital in surrounding areas is associated with a 0.008 percent increase in the employment rate of a county, again holding constant various socioeconomic factors. The impacts are significant but not substantial, which researchers say may be explained by the fact that most Minnesota counties are rural and already have relatively high employment rates. Moreover, not all areas are positively affected by these investments. The overall findings are largely driven by rural areas, while the evidence for metropolitan and micropolitan areas is mixed. The results suggest that in Minnesota it would be more effective to invest in rural areas compared to urban areas as far as employment growth is concerned. “As federal transportation money decreases, state and local agencies must make difficult policy decisions with diminishing budgets. This research provides quantifiable data about the local and regional benefits of new roads, which agencies can use to promote and support transportation projects,” said Zhirong (Jerry) Zhao, Associate Professor, University of Minnesota, Humphrey School of Public Affairs. Investments in trunk highways, such as Trunk Highway 61 in northeast Minnesota, are associated with employment rate increases in the counties where improvements are built, as well as regional benefits. The results of this project provide an internal decision-making tool for local agencies. They also offer quantitative data in support of transportation investment to convey to elected officials and the tax-paying public. Although no follow-up research is currently planned, many further studies of this type are feasible. For example, studies could evaluate associative effects of transportation investment on other socioeconomic factors, such as sales tax bases, small business development, workforce specialization and public education. This post pertains to LRRB-produced Report 2018-04, “Transportation Investment and Job Creation in Minnesota Counties,” published January 2018. The full report can be accessed at mndot.gov/research/reports/2018/201804.pdf. To mark Earth Day 2016, MnDOT Research Services is taking a glance at five stellar examples of current research projects at MnDOT that involve pollution control, wetland mitigation, road salt reduction and new ways of recycling pavement. Temporary stormwater ponds with floating head skimmers can remove clean water from the surface of a settling pond. Soil carried away in stormwater runoff from road construction sites can pollute lakes and rivers. Stormwater settling ponds provide a place for this sediment to settle before the water is discharged into local bodies of water. However, since stormwater ponds have limited space, a mechanism is needed to remove clean water from the pond to prevent the overflow of sediment-laden water. MnDOT-funded researchers designed temporary stormwater ponds with floating head skimmers that can remove clean water from the surface of the settling pond, using gravity to discharge water into a ditch or receiving body. The study, which was completed in spring 2014, identified five methods for “skimming” stormwater ponds that can improve a pond’s effectiveness by 10 percent. MnDOT researchers also created designs for temporary stormwater ponds on construction sites with the capacity to remove approximately 80 percent of suspended solids. These designs will help contractors meet federal requirements for stormwater pond dewatering. Researchers also determined how often a pond’s deadpool must be cleaned, based on watershed size and pool dimensions. Stormwater infiltration rates at five swales were significantly better than expected based on published rates. In a study completed in fall 2014, researchers evaluated five Minnesota swales, measuring how well water flows through soil at up to 20 locations within each swale. This could save MnDOT and counties significant right-of-way and construction costs currently expended on more expensive stormwater management techniques. 3: Could Permeable Pavements Eliminate Road Salt Use on Local Roads? Even with little or no road salt, a permeable pavement like this porous asphalt in Robbinsdale, Minnesota, collects little slush and snow in the winter because it warms well and remains porous enough to infiltrate surface water effectively. Road salt is used for de-icing roadways during winter months, but can have a negative impact on the environment. This research, which was just approved for funding through the Minnesota Local Road Research Board in December 2015, will investigate the reduction in road salt application during winter months that can be attained with permeable pavements, while still providing for acceptable road safety. Some initial investigations (see previous study) suggest that road salt application can be substantially reduced, even eliminated, with permeable pavement systems. The proposed research will investigate this hypothesis more thoroughly, and further document the reduction in road salt application that can be expected with permeable pavement. This photo from spring 2015 shows that wetlands have begun to take hold along Highway 53. Road construction in northeast Minnesota often causes wetland impacts that require expensive mitigation. However, borrow areas excavated for road construction material can be developed into wetland mitigation sites if hydric vegetation, hydric soils and adequate hydrology are provided. Fourteen wetland mitigation sites were constructed north of Virginia, Minnesota along the U.S. Trunk Highway 53 reconstruction project corridor and evaluated for wetland. The sites were established with the goal of mitigating for project impacts to seasonally flooded basin, fresh meadow, shallow marsh, shrub swamp, wooded swamp, and bog wetlands. All but one of the sites consistently meet wetland hydrology criteria. According to the research report published in March 2016, these sites have shown the potential for creating mitigation wetlands in abandoned borrow pits in conjunction with highway construction. Adaptive management, particularly water level regulation, early invasive species control, tree planting, and continued long-term annual monitoring can make mitigation sites like these successful options for wetland mitigation credit. This photo shows a cold in-place recycling equipment train in action. MnDOT already extends the lives of some old concrete highways by paving over them with asphalt instead of tearing them up. Now MnDOT hopes to add a third life for these old concrete roads by using a process called cold in-place recycling to re-use that existing asphalt pavement when it reaches the end of its life. Cold in-place recycling (CIR) uses existing pavements, without heat, to create a new layer of pavement. It involves the same process of cold- central plant mix recycling (which is being employed by MnDOT for the first time on two shoulder repair projects this year), but it is done on the road itself by a train of equipment. It literally recycles an old road while making a new road. CIR has been in use in Minnesota for 20 years, but only with hot-mix asphalt (HMA) over gravel roads. The purpose of a new study, which was approved for funding in April 2016, is to validate Iowa’s promising new practice using CIR on bituminous over concrete. In this research project (see proposal), MnDOT will use cold-in-place recycling to replace the asphalt pavement on a concrete road and then evaluate it for several years, comparing it also with control sections. Along with the potential of a better service life, the cost of CIR is much lower than new hot mix asphalt (HMA). Therefore, a 20-percent to 30-percent price reduction per project may be realized. MnDOT’s latest crop of transportation research projects have been identified. This year, researchers were asked to pay special attention to how their work could benefit the public and be put into real-world practice. MnDOT’s Transportation Research Innovation Group (TRIG) and the Minnesota Local Road Research Board recently announced their Fiscal Year 2017 funding awards after hearing proposals from researchers at multiple universities. The two bodies chose 20 research proposals totaling about $2.9 million that will study new and innovative approaches to improving the environment, making transportation systems safer, improving construction methods and operating in more cost-effective ways. According to MnDOT Research Management Engineer Hafiz Munir, MnDOT Research Services made some key changes to its annual requests for proposal that will help ensure research makes a difference to the agency’s bottom line. This year, researchers were asked early on in the proposal process how they would quantify their results, what benefits the research could achieve and how their research could be implemented in the future. Several of the 20 newly funded projects deal with improving transportation safety, Munir said, and many others are focused on implementing cost-saving practices, innovations and new technologies. Munir said the next steps for these projects this spring include creating technical advisory panels, finalizing project work plans and preparing contracts. Some projects could begin early, depending on available funding and project-readiness. By the time Fiscal Year 2017 begins on July 1, funding will be available to begin all 20 projects. 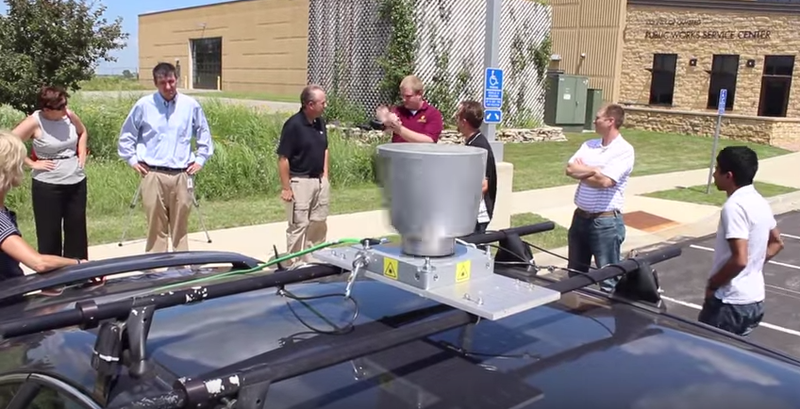 A handful of county highway department employees in the Rochester area gathered recently at the Olmsted County Public Works Service Center for a presentation and live demonstration by University of Minnesota Research Fellow Brian Davis about his team’s work involving light detection and ranging – or LiDAR. 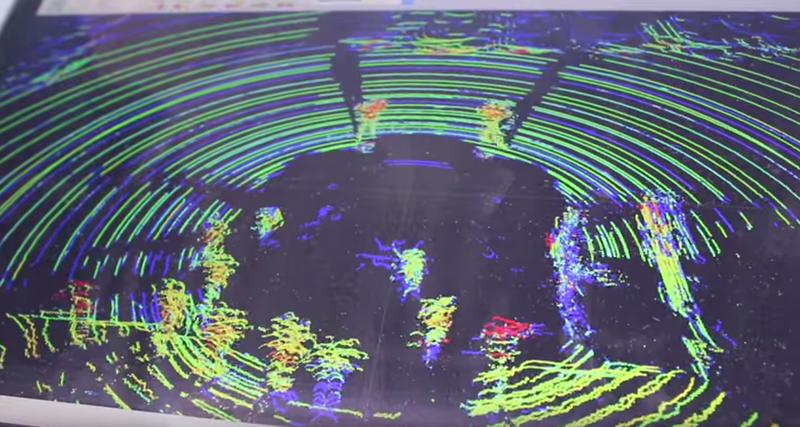 Davis and his fellow researchers have outfitted a sedan with special LiDAR equipment and other technology that is capable of capturing a 360-degree, 3-D view of a scene in real time. For his presentation, Davis showed the attendees some of the data his team had already collected. After the presentation, Davis led the group to the parking lot for a close-up look at the technology and how it collects data and displays that data in real time. Le Sueur County GIS manager Justin Lutterman was among those who could envision possible applications for LiDAR. 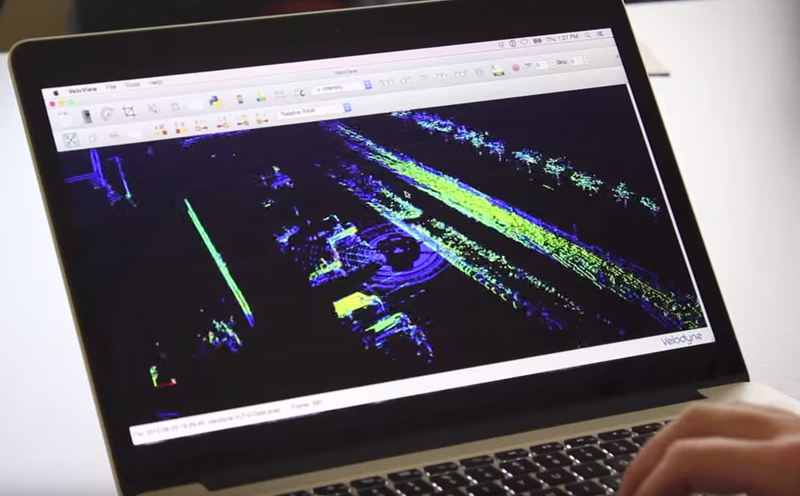 Over the coming months, researchers will gather more data to develop a workshop for county personnel interested in learning more about LiDAR and how it can be applied in their transportation systems. Minnesota: Are You Ready to Mumble? In the search for a quieter rumble strip, Minnesota may have found a winner in California. “California’s rumble strip still gave significant feedback to drivers, but it was significantly less noticeable outside the vehicle,” said engineering consultant Ed Terhaar, who performed a noise analysis with acoustical engineer David Braslau on behalf of the Minnesota Local Road Research Board. A California-style sinusoidal rumble strip, installed along a Polk County Highway. Although they serve as an effective warning to drivers, rumble strips can cause unwanted noise when a vehicle drifts over a centerline or edgeline. Both the LRRB and the Minnesota Department of Transportation, which is sponsoring a companion study, are interested in finding a new design that still captures the driver’s attention, but minimizes the sound heard by neighboring residents. Terhaar and Braslau’s research showed that Minnesota and California’s designs produce a similar level of interior noise. Although external decibel levels are not that different from each other either, Minnesota’s rumble strip has a considerably stronger tone that can be heard further away. Testing was performed using three different vehicles – a passenger car, pickup truck and semi-trailer truck – at three different speeds – 30, 45 and 60 miles per hour. In general, Pennsylvania’s rumble strip had both a quieter interior and exterior sound than California’s and Minnesota’s. Like Pennsylvania, California’s rumble strip has what is called a sinusoidal design – a continuous wave pattern that’s ground into the pavement (it’s the style commonly used in Europe and has been called a “mumble strip” because it’s quieter). The main difference between the two is that California’s wave length is 14 inches, while Pennsylvania’s is 24 inches. Minnesota’s design is much different than the sinusoidal pattern used by the other two states. “It’s not a continuous wave – it’s basically chunks of pavement taken out at certain intervals with flat pavement in between. It’s more of an abrupt design, whereas California and Pennsylvania’s are more continuous and smooth,” Terhaar explained. The next step for researchers is to test variations of the California rumble strip design at MnDOT’s Road Research Facility (MnROAD). 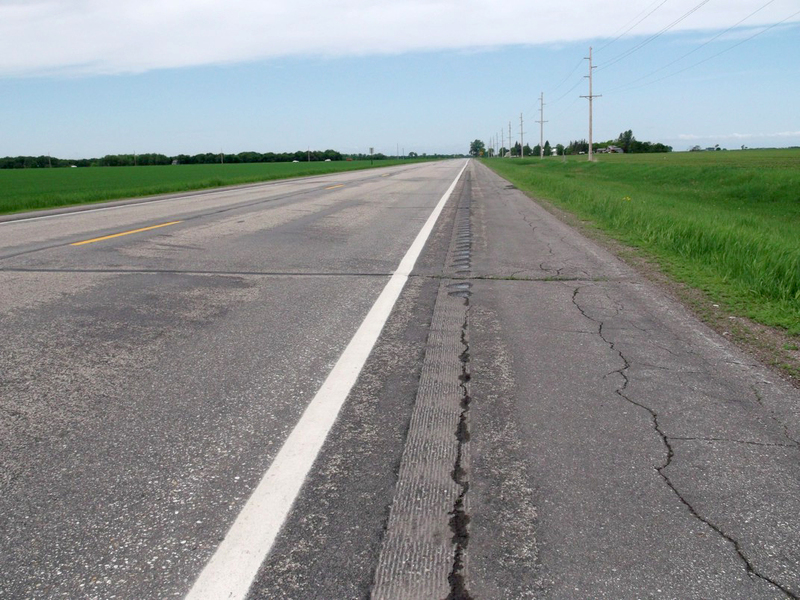 The 8-inch rumble strip tested in Crookston is the typical edgeline design used by Polk County, but it was found to be too narrow for semi tires, so MnDOT will look at wider designs in its follow-up study. Researchers will also look at the impacts to motorcyclists and bicyclists, as well as the California rumble strip’s centerline striping capability. The Minnesota rumble strip, at left and also pictured in top photo, and California rumble strip, right. A new tool developed by the Local Road Research Board helps cities and counties assess how much increased heavy vehicle traffic affects local roads. Researchers created an analysis method and corresponding spreadsheet tool that city and county engineers can use to calculate the impact of heavy vehicles on asphalt roads beyond what was planned in the original pavement design. The information will help agencies optimize services, such as garbage collection, for the least amount of damage. It will also help agencies better plan roads in new developments, as well as redesign existing roads that are nearing the end of their lives. Heavy trucks cause local roads to deteriorate more quickly than passenger vehicles, but it is challenging to quantify the impacts, especially for areas where traffic was not forecast at the time a road was designed. Many local engineers in Minnesota have requested information about the impact of heavy vehicles in light of new construction, commercial distribution facilities and hauling routes. This information is needed to assist in local road planning and maintenance. Calculate the additional bituminous material (and associated costs) that would have been required to construct the pavement had the heavy truck traffic been predicted when the pavement was designed. Calculate the portion of a pavement’s design life, measured in equivalent single-axle loads (ESALs), consumed by unanticipated vehicles. “Before this project, there wasn’t an easy way for an engineer to determine how much a specific truck was going to decrease the life of a road,” said Deb Heiser, Engineering Director, City of St. Louis Park. Whereas previous research has calculated the impact of extremely heavy vehicles over the short-term (typically the course of a construction project), this project calculates the impact of long-term increases in traffic from vehicles that are heavy, but still mostly within normal legal weight limits. The tool can be used for a single street segment or an entire road network. Users can also compare current situations with proposed ones to evaluate the impact of potential changes in heavy traffic levels. Replacing traffic signs at the right time is an important science. Waiting too long can endanger lives and expose an agency to a lawsuit. But replacing traffic signs prematurely could cost a single city tens of thousands of dollars per year. In a case study of townships in Stevens County, Minnesota, researcher Howard Preston found that nearly a third of traffic signs were not required and served no useful purpose. The average township has 180 signs, which results in an annual maintenance cost of $3,600. The average county has 10,000 signs — an annual maintenance cost of $200,000. Public agencies could save a collective $26 million* just by removing unnecessary or redundant signs from the field, Preston said. A traffic sign maintenance handbook developed by the LRRB and MnDOT guides agencies through that process. Traffic signs have more life in them than the typical 12-year manufacturer’s warranty, Preston said. But how often agencies replace them varies throughout the state. Whereas small municipalities may replace signs on an individual basis through spot-checking for retroflectivity, MnDOT has a schedule. Each of the agency’s 400,000 signs is replaced within 18 years of installation. Preston found that MnDOT could safely extend the service life of its signs to 20 years, which would save an estimated $1.3 million within the first few years of implementation. Assuming (in lieu of a research-backed benchmark) that local municipalities would likely start replacing signs around the 15-year mark to ensure compliance with the federal law, Preston estimates that townships, cities and counties could avoid a collective $6 million in unnecessary costs per year just by adhering to the minimum 20-year replacement schedule recommended by the study. Agencies are required by federal law to have a method in place for ensuring that signs maintain adequate retroreflectivity. A replacement schedule based on science is one way; regular physical inspection is another. Researchers, who consulted other state’s studies and also examined signs in the field, determined that the life of the modern sign in Minnesota is at least 20 years. It’s possible that traffic signs actually retain their retroreflectivity for 30 years or more, but further study is needed since sheeting materials on today’s traffic signs haven’t been deployed long enough to know, researchers say. A test deck at the MnROAD facility will track the condition of Minnesota signs over the next decades — and perhaps push the recommended replacement cycle longer. *This figure and the $41 million total above account for cost savings calculated over an initial, three-year period. Ongoing cost savings thereafter may be different, according to Preston.